Italy conjures up images of lemon groves, hauntingly beautiful Tuscan vistas, alpine lakes, coastal roads clinging to cliff-faces which fall into sparkling azure waters, piazzas, vespas, high fashion, culture at every elegant corner, frothy cappuccinos and a rainbow of gelatos guaranteed to give you a brief glimpse of nirvana. Food, beauty and style mingle effortlessly in every aspect of daily life – all you can do is slow down, relax and appreciate everything that this charmed country has to offer. Of course one of the joys of Italy, is the heartfelt love of children, who are warmly welcomed everywhere you go- fine evening dining with children in tow is the norm here. You rarely have to worry about little ones making too much noise- quiet is not a word often used in relation to the friendly locals! All this compensates for the fact that the country is not necessarily child-organised- most museums and galleries are resolutely grown-up, but this is part of the appeal and there is actually plenty to captivate younger visitors with their natural curiosity for history and geography (and love of ice-cream!). The large number of Italian airports served by UK flights, means virtually all regions are easily accessible if you rent a car or use Italy’s extensive rail network. This is city break heaven, but for most visitors the urge to explore and the many temptations on offer, lead them further afield. 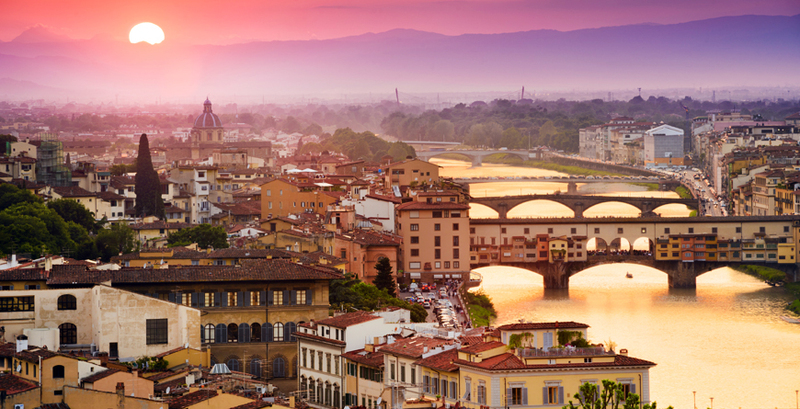 First time visitors usually head to Rome or Tuscany for a dose of culture. In Tuscany, with a few days to explore you can take in the highlights- from the Campo dei Miracoli in Pisa with its iconic 12th Century leaning tower, to the Uffizi and fascinating Renaissance Florence, to the everyday beauty and laid-back rural charm of Tuscan towns, dotted amongst the rolling hills with their cypress trees and olive groves. 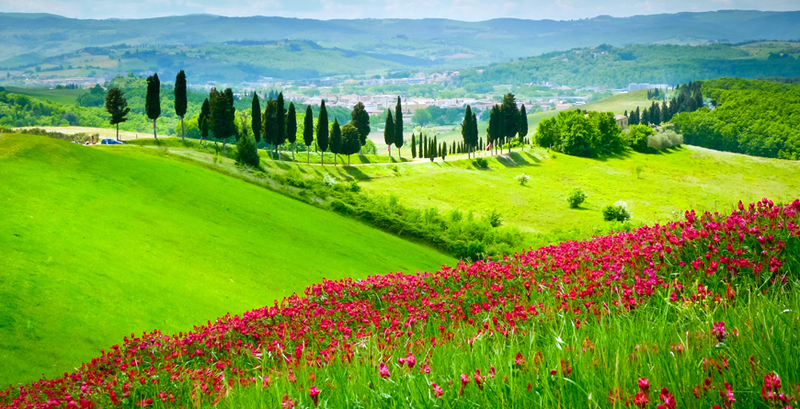 Take time to savour Siena with its medieval cityscape set against lush countryside. 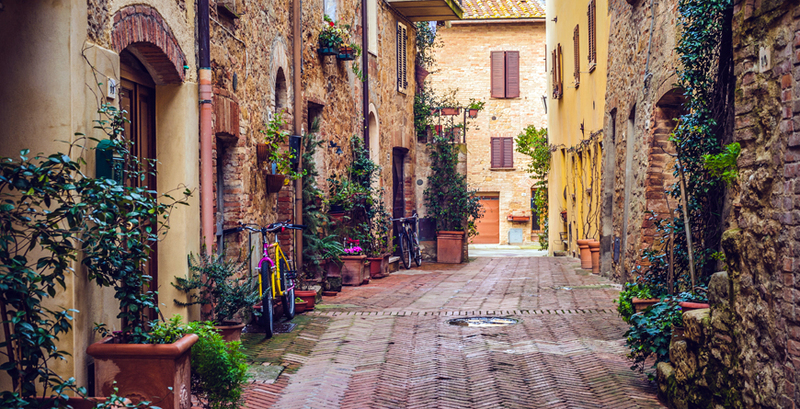 Meander the narrow lanes and stony piazzas of Lucca and enjoy an early morning bike ride in the valley below Assisi to appreciate the morning mists. The towers and fresco-lined Collegiata in San Gimignano are one of Tuscany’s must see sights and Cortona, made famous by the publication of Frances Mayes' Under the Tuscan Sun and Bella Tuscany is the archetypal picturesque hill-town. Umbria is similarly over-spilling with little gems. 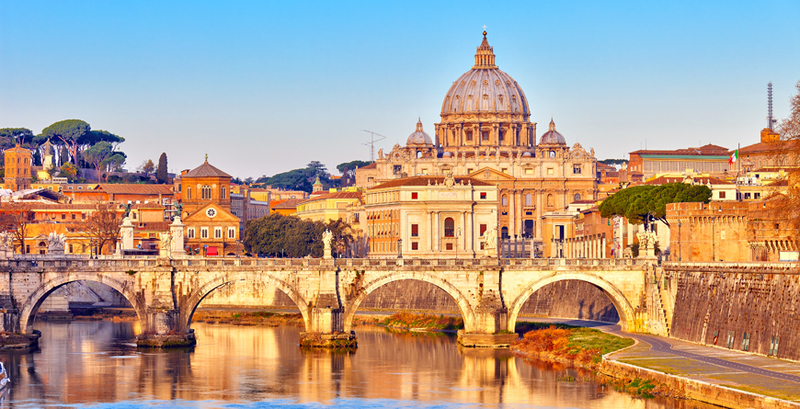 Rome is one of the most historically rich capitals of Europe- it reverberates with art and culture. 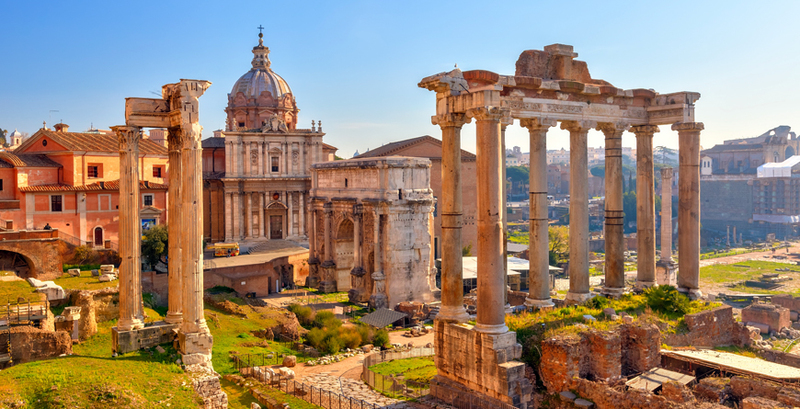 The architectural heritage is dazzling- the Colosseum, Roman Forum and Pantheon are utterly captivating and recall Rome's time as the heart of the Roman Empire, whilst catacombs hark back to the early days of Christianity. Make sure you climb St Peter's Basilica with its angled stairway which follows the curve of the dome- the views are fantastic and it is a distinct reminder of the Papal presence. Rome is truly made for exploring on foot- stumble across flower-filled piazzas and elaborate baroque churches flanking historic streets, stop for a mid-morning espresso or enjoy browsing the little delicatessens that abound. Trastavere in particular is a joy with its labyrinth of tangled alleys and tempting aromas from convivial neighbourhood trattorias. Children might like to take the new glass elevator up the Vittoriano monument with wonderful views from the top, or for old-style puppet shows, climb the Gianicolo Hill, behind Trastevere. Budding scientists will be enthralled by the interactive (by Italian standards) Macchine di Leonardo Museum which houses models of da Vinci's most ambitious designs. For a pleasant end to a hot Summer day, enjoy dinner on Tiber island, with its seasonal restaurants, bars and open-air cinema. Venice is unique and hard to put into words. Once inside its maze, walk and soak it all up- it will continually take your breath away when you least expect it. Renowned for its sense of romance, it can work well for families too....what’s not to love about a gondola trip or the more economical vaporetto (water bus). Head to the campanile of San Marco for some great views before visiting the Doge’s Palace whilst the children see if they can spot all 10 of Venice’s winged lions! With more time, some choose to head to the Lido- Venice's well maintained beach, where there are pools, tennis courts, bikes for hire and football pitches at the Sporting Club Ca'del Moro. The Adriatic is safe, shallow and warm. Pompeii, Capri and the Amalfi Coast are all undeniably enticing places to visit, hence very busy indeed in August. Children will be enthralled at the sight of the tableau of daily life frozen forever in the lava flow of Mount Vesuvius. Other child-friendly things to do include Naples’s aquarium- the oldest in Europe. Meanwhile the National Railway Museum with its old engines, cars, and equipment is sure to captivate. Do not miss Herculaneum and the temples at Paestum and if you are in search of a charming Amalfi coastal town, then Ravello is hard to beat. From Naples, the drive south down the Amalfi Coast to the improbable town of Positano is spectacular. With its cliff-hanging pastel-hued buildings that tumble down the hillside, it appeals to artists and tourists alike. The local beaches offer the chance of sun-bathing and a refreshing dip in the sea. Sicily is also blessed with some fabulous ancient sites – Segesta, Selinunte, Syracuse and the Villa Romana del Casale. In recent years the infrastructure has improved and with the opening of new boutique luxury hotels there are now some lovely options for a relaxing, stylish and cultural family holiday here. Mount Etna, the Madonie and Nebrodi mountains, the Egadi and Aeolian Islands, and towns such as Taormina provide plenty of great options for day trips. The main tourist areas can be very busy in the Summer months of July and August with queues at the main sights and on the road, especially in August which is the Italian’s main holiday month. Prices are accordingly at their highest. That said, there are still many lesser known areas which remain quiet and peaceful. Christmas, New Year and Easter are also busy and expensive times to be in the main cities, whilst late December to March is high season in the Alps and Dolomites. The shoulder seasons can be a great time to visit, with pleasant temperatures and better deals on accommodation, especially in the south. Spring is best for festivals, flowers and local produce. Wine lovers might like to time their visit to coincide with the Autumn grape harvest. Outside of the holiday season, winter is the time to visit if you are looking for lower prices and no crowds- but do check ahead that the places you want to visit are open.